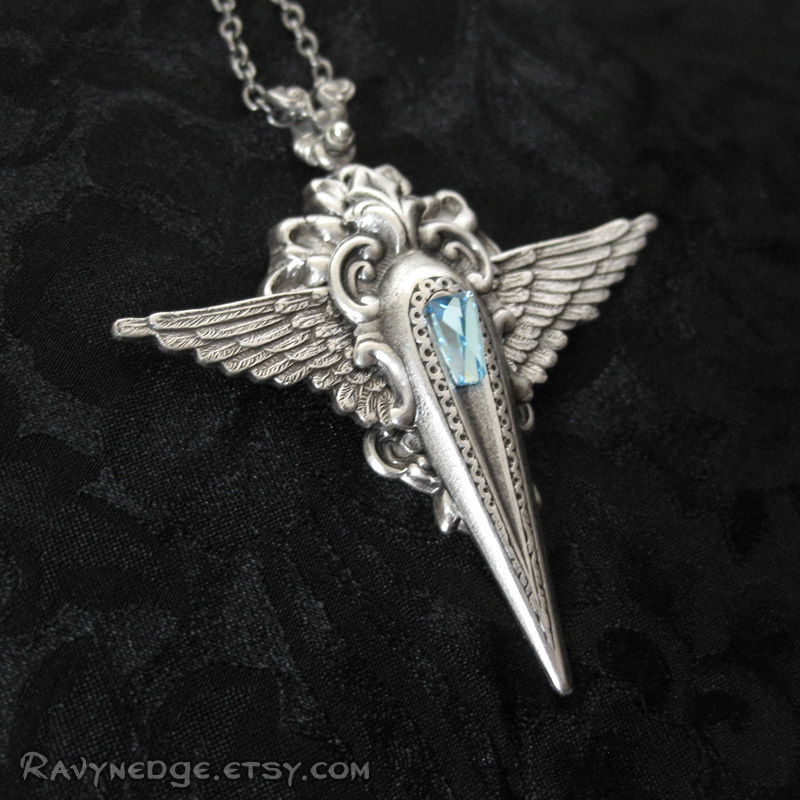 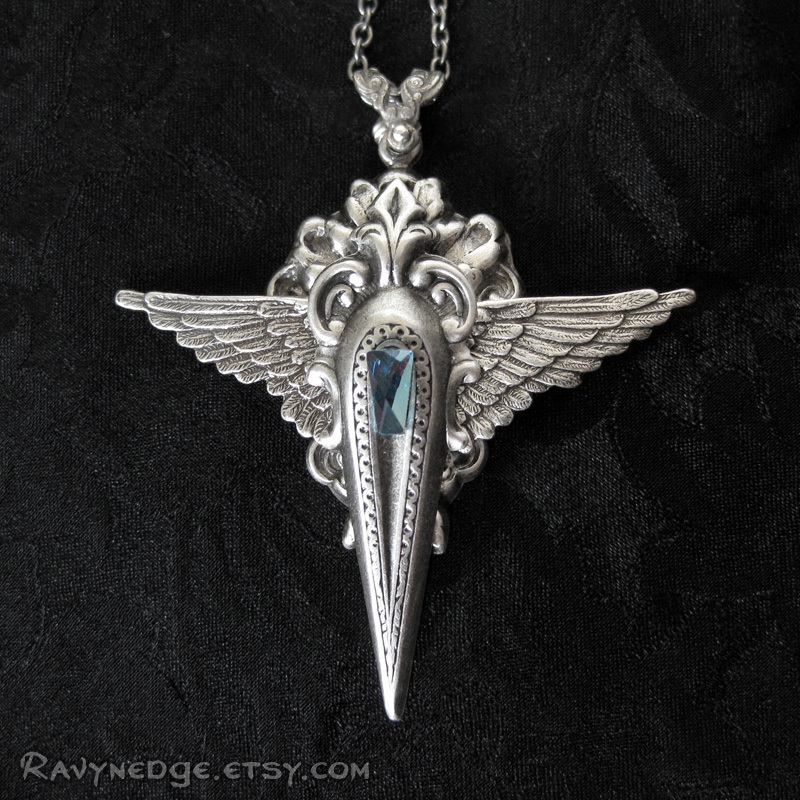 Beyond The Veil Necklace - Aquamarine Swarovski and Silver Winged Pendant by RavynEdge. 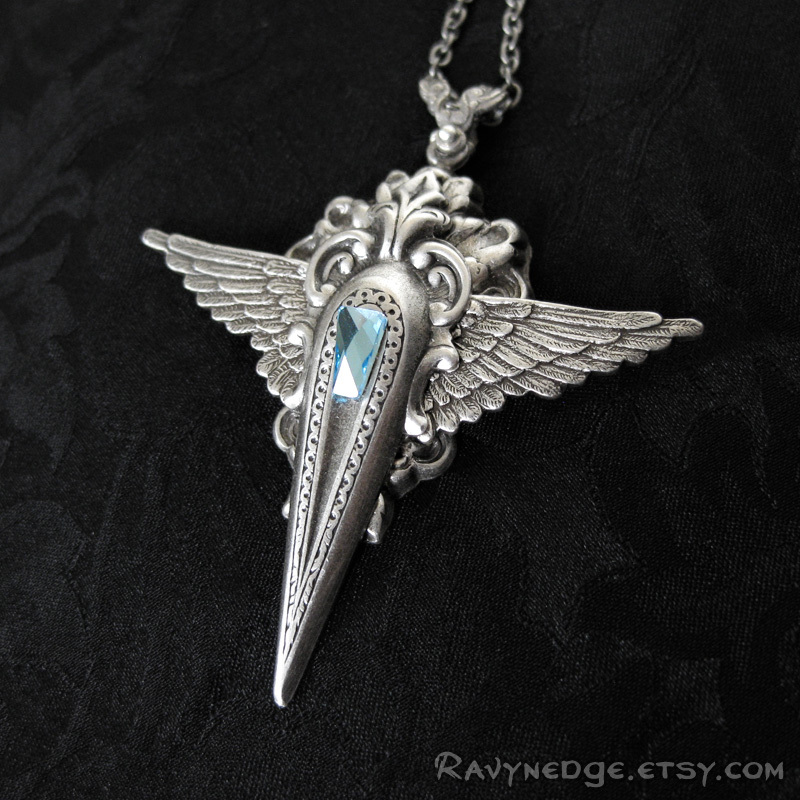 Made with a small aquamarine Swarovski crystal and sterling silver plated brass filigree, oxidized to bring out the exquisite details. 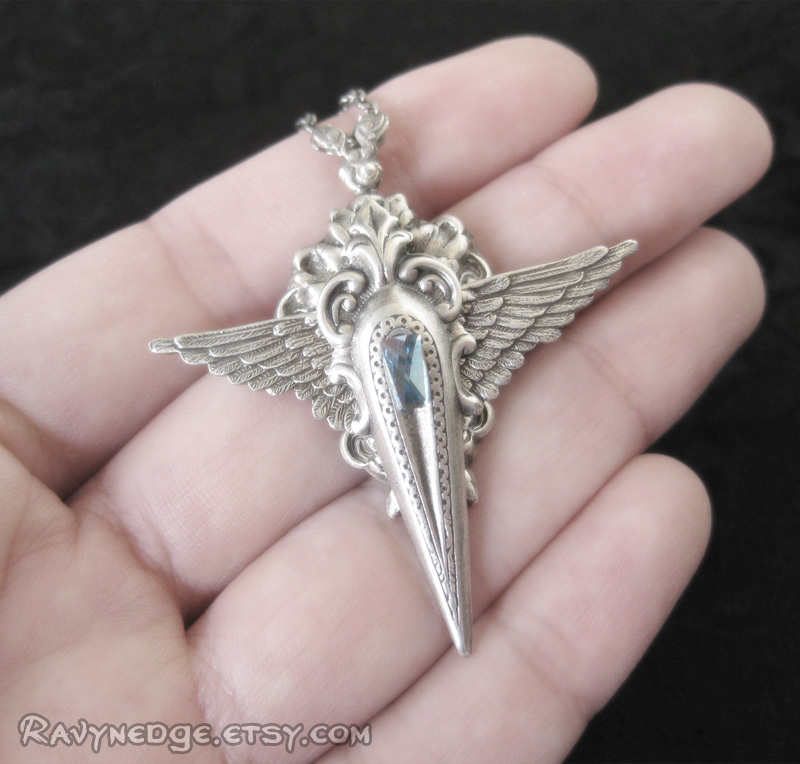 The pendant measures approximately 1.9in (48.3mm) in height and 1.75in (44.5mm) in width. 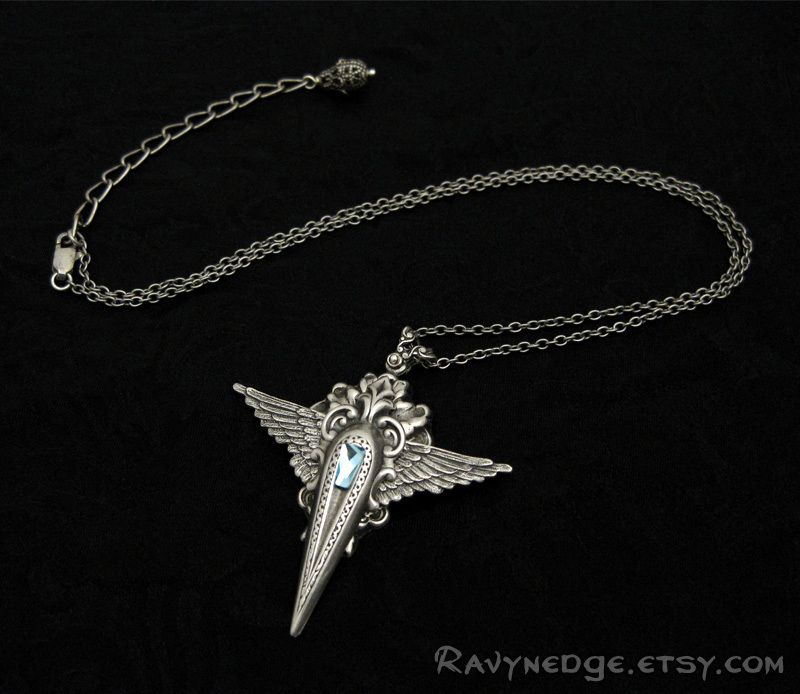 The chain is sterling silver plated steel and the length is adjustable from 16 to 18 inches (40.6 to 45.7cm) and closes with a lobster clasp.